A conservation expedition to a remote area of Paraguay poses a risk to isolated tribal groups, according to an indigenous peoples’ protection group. Scientists from London’s Natural History Museum (NHM) aim to record biodiversity in the Dry Chaco region. But Benno Glauser, director of Iniciativa Amotocodie, told BBC News that any contact with tribal groups during the trip could have “fatal consequences”. He said there was a risk of “surprise contact” because the scientists had to “move around in a very silent way in order to observe animals”. Mr Glauser told the BBC’s Today Programme: “We know of three isolated indigenous groups in the area targeted by the expedition. Professor Richard Lane, head of science at the Natural History Museum, told BBC News: “We’ve considered the whole expedition from the very beginning. “Most recently, our collaborators have enlisted an Ayoreo elder, who has volunteered to guide our team in the forest,” Professor Lane added. 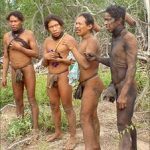 “[It] is a vast area, but this expedition plans to go to an area that, despite being very remote, is known to be the ancestral home of the Ayoreo tribe,” he told BBC News. There are about 5,000 Ayoreo people in total. 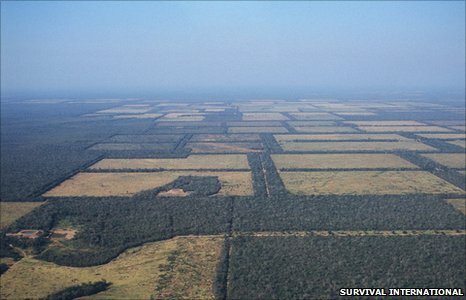 Survival International estimates that just 200 are still “uncontacted”. Mr Mazower said that these people were “permanently on the run” from cattle ranchers that were clearing the forest. “Previously, when they have been contacted, there have been violent encounters,” he told BBC News. “We are targeting protected areas because, many areas of forest of the Chaco have already been cut down, so they are of little interest for a scientific expedition,” he said. The museum plans to go ahead with the expedition and hopes that it will help “governments and conservation groups better understand how to manage fragile habitats and protect them for future generations”. Ayoreo frente a la expedición es utilizar a los Ayoreo como el escudo humano. Justamente el hecho de que los Ayoreo ya contactado compartan el parentesco, lenguaje y cultura no significa necesariamente un método de evitar el riesgo de contacto, sino puede provocar el riesgo de un contacto no deseado aún mayor. Involucrar a los Ayoreo en esta manera en la expedición no es para la protección de autodeterminación de los aislados. Los científicos quieren proteger a sí mismo frente a las opiniones públicas sin pensar la consecuencia fatal de los aislados. O quizás, ellos quieren justificar su acto pintando y embelleciendo con la participación de los ayoreo para combinar el conocimiento.